In this “let’s get physical” edition of The Baer Facts, I talk with Kyle Lacy of ExactTarget about Facebook’s new system of applying star ratings to Pages, and the merits of kettlebell as a workout option. Timely note: This episode features a guest appearance by my quasi-celebrity personal trainer, Lindsay Forster. In addition to whipping me into shape (her success is mitigated by my constant travel and inability to put down the cheeseburgers and IPA), Lindsay is also a guest star on the Discovery Channel show Porter Ridge, which is filmed around here. Lindsay and I live in the urbane college town of Bloomington, Indiana. But just outside of town, things get rural and …… interesting. Thus, a “reality” show about those happenings. Lindsay’s big TV debut is Tuesday, November 26. Set your DVRs for Porter Ridge. You can follow her on Instagram right here. Taking a play from Yelp, Facebook has been collecting ratings data via their mobile app for more than a year. Now, they are testing a system whereby those 1-5 average ratings will display quite prominently right below the name of your business Facebook page. This has not rolled out to all pages, and appears to be limited to pages that have added an address, since they are likely to have received star reviews from mobile Facebook users. I don’t have a problem with this concept in general, but I dislike the fact that Facebook – adhering to its typically inscrutable approach to discussing new features that ranges from Sphinxian to Belichickian – has divulged almost no informational crumbs about what’s going on, or why. Here are just a few questions I have about star reviews on Facebook. Leave your own in the comments if I’ve missed some, won’t you? Is this score only determined by ratings generated from mobile users? How many people rated this business? Do more recent ratings receive extra credit? Do ratings from Facebook users with more social connections receive extra credit? Do these ratings impact how/whether content from this business is shown in the news feed? 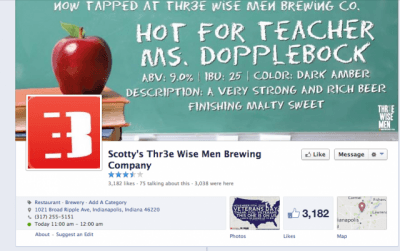 How can Facebook mitigate false ratings intended to inflate the average score? See what I mean? Facebook is an amazing company that has changed the world in many ways. Their legacy is secure. But it is equal parts frustrating and irresponsible that a company with such a stranglehold on our collective attention continues to lob trial grenades around like they were cotton candy. Imagine if your local utility decided to roll out – without announcement or explanation – a new “feature” where more popular businesses got all the electricity they want, but less popular businesses had their electricity automatically throttled down based on an algorithm. We’d be grabbing pitchforks (and maybe flashlights). I’m okay with Facebook evolution and iteration. Just like the Hunger Games, they have to keep doing new stuff to keep our attention. But how about a FAQ or something? Is that too much to ask?